Spring Field Day Season Has Arrived! 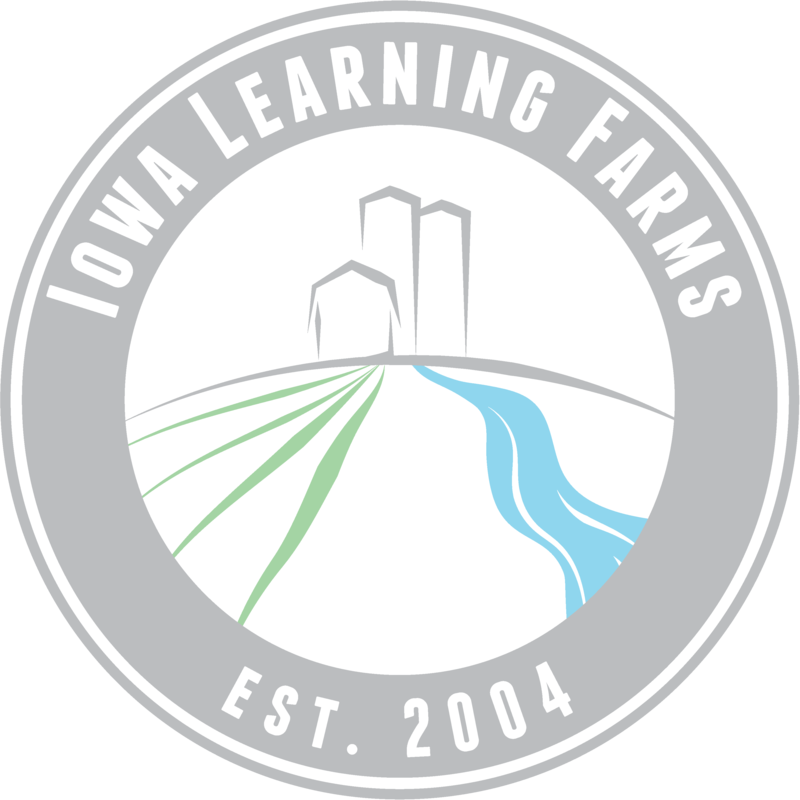 The 2019 Iowa Learning Farms field day season begins on March 26th and includes a series of five cover crop, no-till and grazing workshops and field days. Please plan to join us at one near you! Iowa’s River Restoration Toolbox Workshop Registration Now Open! Are you interested in learning about streambank stabilization and restoration techniques from Iowa experts? Do you want to learn how to use the new IDNR Toolbox to restore stream functions? Sign up today to attend Iowa’s River Restoration Toolbox Workshops hosted by Iowa Rivers Revival! Choose between the two locations so you don’t miss this great opportunity. Landowners have a great opportunity to shape how their land is managed. In Iowa, about 40% of agricultural land is owned by women. It is crucial to have women represented at field days and workshops so they can make informed decisions in their operations and/or with their tenants. For the past two years, 27% of Iowa Learning Farms attendees were women. From the 2017 demographic cards, 17% of all attendees who identified as farmers/operators or landowners were women; 40% of those who identified as “other” were women (government employees, agribusiness, students or educators). Since ILF first started hosting field days in 2004, the number of women attending field days has increased. More women are now serving as Extension Specialists, agronomists, and government employees and this is reflected in our data. Women continue to play an active role in the farming operation with 43% of women attendees describing themselves as active farmers/operators and 64% describe themselves as landowners. Nearly 60% reported owning more than three-quarters of their land. This finding is consistent with the trend of increasing numbers of acres owned by female landowners. It is encouraging to see these women taking an active role in the management of their land as both farmer/operator and/or landowner. In 2018, ILF will continue to seek new ways to increase female attendance, especially female farmers/operators and landowners, at field days and workshops. Women indicated to us that they would prefer to attend events on Tuesday-Thursday either in the morning (41%) or afternoon (57%). This year we are planning to offer events at these times to see if we can increase the number of women attending our events. We also plan to partner with organizations that focus on women farmers/operators and landowners. Stayed tuned for more highlights from our 2017 Evaluation Report and be sure to click subscribe and follow us on Facebook and Twitter. Iowa Learning Farms continues to build a Culture of Conservation as we bring together farmers, landowners, agribusiness, researchers and state and federal agency partners. In 2017, Iowa Learning Farms delivered or participated in 92 outreach events that reached a total of 7,372 people. Our staff, trailer fleet and partners across the state helped us reach new communities and participants as we continue to build a Culture of Conservation. One of Iowa Learning Farms many strengths is our approach to evaluation. The process is five-fold to help us plan and deliver effective conservation education and outreach. Event Evaluations – completed by our team immediately following every event. These forms help us to understand the audience’s level of engagement, document the questions that were asked by participants and help us to improve future outreach activities by noting what went well and what could be improved. Comment Cards – filled out by all participants in order to gain a better understanding of who they are and why they are there. Demographic Cards – filled out by all participants and provide a snapshot of attendees in terms of their age, gender, role in agriculture and information about their farming operation. The cards also capture preferences on timing and topics of interest for future outreach events. Follow-up Evaluations – mailed within three weeks of the event to participants (for those that happened before November 7). The questions focused on the clarity and accessibility of the information received and inquired whether participants planned to make any changes in their land management as a result of the event. The individual field day report is now available online. January Evaluations – mailed to only farmers/operators and landowners. These questionnaires were sent in January 2018 to see if the participants had made the changes they said they were going to make in earlier evaluations. Over the course of the next few weeks we will be highlighting findings from our 2017 Evaluation Report, so be sure to subscribe and follow us on Facebook and Twitter. Are you an emerging farmer? We are excited to announce the launch of our new Emerging Farmers Project! This is a proactive approach to address the need to reach out to emerging farmers and future landowners. We define an emerging farmer as someone with ties to agricultural land who would like to return to the farm as an operator or have a voice in its management. This large transference of land and significant demographic shift in Iowa’s agricultural land management and ownership calls for new approaches to conservation outreach and education. To kick off the project, we are hosting a series of Rapid Needs and Response Workshops to discuss soil conservation practices like no-tillage and cover crops, grazing best management practices and water quality. If you or someone you know is an emerging farmer, please plan to attend a workshop! The program is a collaborative effort led by the Iowa Learning Farms with farmer partners, Iowa Beef Center, ISU Extension and Outreach, Beginning Farmer Center and Practical Farmers of Iowa. In 2017, Iowa Learning Farms hosted a total of 28 field days and workshops that were attended by 1,280 people! We thank everyone who helped to make our events a success; however, there’s one more way that you can help us. If you attended an Iowa Learning Farms field day or workshop in 2017 and identified yourself as a farmer/operator or landowner, you will receive a one-page survey in your mailbox in early January 2018. Please fill out your survey at your earliest convenience and mail it back to us. Your responses will help us improve our education and outreach activities in 2018, including field days, workshops and our overall approach to our program. We want to hear from you – what changes did you make to your operation this year? What are your biggest barriers to implementing additional conservation practices? Let your voice be heard and your acres be counted in our year-end survey! If you have any questions about this evaluation, please let us know. Post-Harvest Field Day Series Heading Your Way! As the crop year is coming to an end, cover crop season 2017 is starting to take root! This fall Iowa Learning Farms is co-sponsoring nine cover crop workshops. Be sure to mark your calendars and plan to attend one near you. Enter your email to follow this blog and get notifications of new posts. Do you have “cottage cheese” soil?